The 2014 GMC Yukon is a full-size SUV with three rows of seats. or as few as seven. 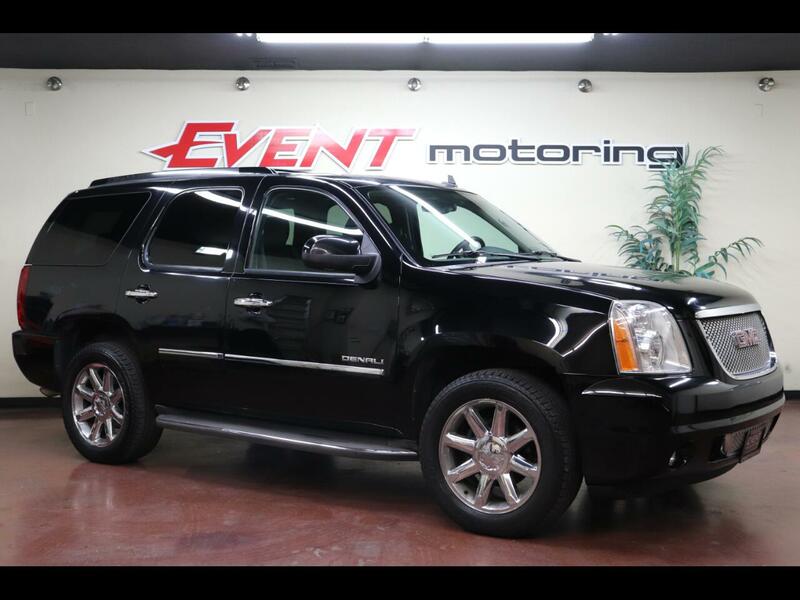 GMC's Yukon is a top choice for a traditional full-size SUV that rides on a beefy truck frame and has standard V8 power and available four-wheel drive. Those attributes orient the Yukon more for those who plan to tow a boat or camper, or load it up with heavy cargo on a regular basis. While every effort has been made to ensure display of accurate data, the vehicle listings within this web site may not reflect all accurate vehicle items. Accessories and color may vary. All Inventory listed is subject to prior sale. The vehicle photo displayed may be an example only. Vehicle Photos may not match exact vehicle. Please confirm vehicle price with Dealership. See Dealership for details. Published price subject to change without notice to correct errors or omissions or in the event of inventory fluctuations. Message: Thought you might be interested in this 2014 GMC Yukon.